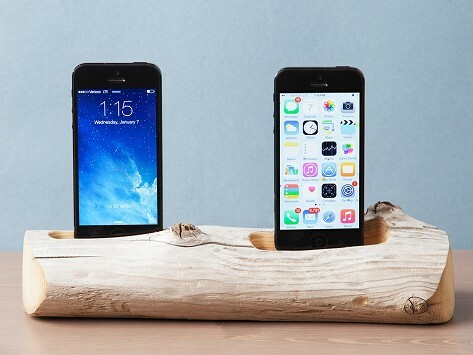 Docksmith turns unique pieces of driftwood and birch into beautiful, one-of-a-kind chargers for your smartphone or tablet. Scouring forests and beaches all over Maine, Docksmith’s owners personally select the wood and craft the chargers in their personal woodshop. This product is better than expected. My townhouse is small with a costal vibe and this docking station fits in it perfectly. Beautiful. A teeny bit pricey. That being said, my wife loved it and I was happy to get it for her. She has two Iphones, personal and work and this product was the perfect thing for her while showing contemporary classiness. It was packaged very elegantly and carefully. The whole process, right down to the recyclable packaging, is done in house with the environment in mind. The wood is all found, which means no destruction of forests. And Docksmith works with local businesses for its materials whenever possible. 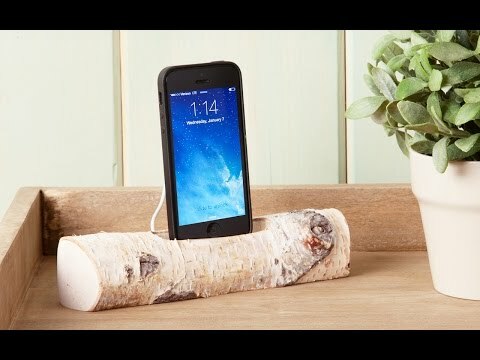 Made in the USA and guaranteed for life, these wood charging docks add a natural touch to the technology that surrounds us every day.